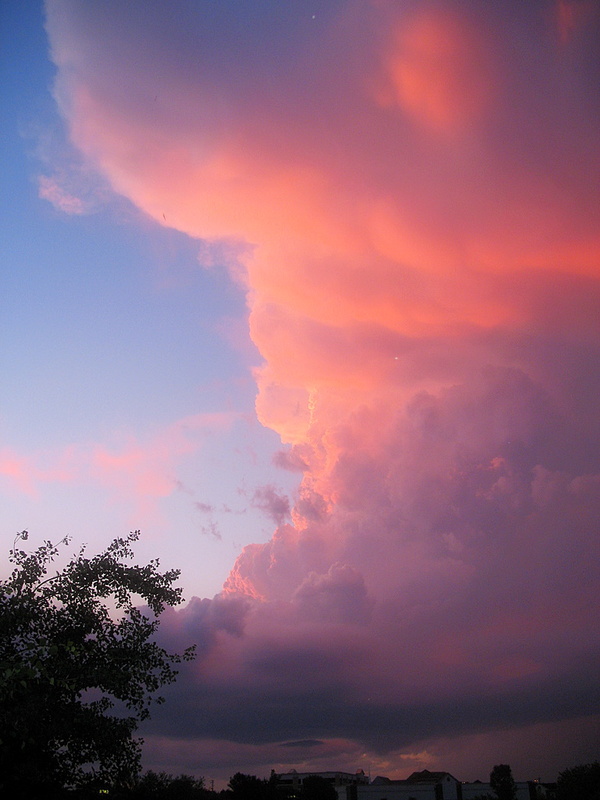 This is a larger view of a storm cloud that rolled through here over the summer. From my archives. 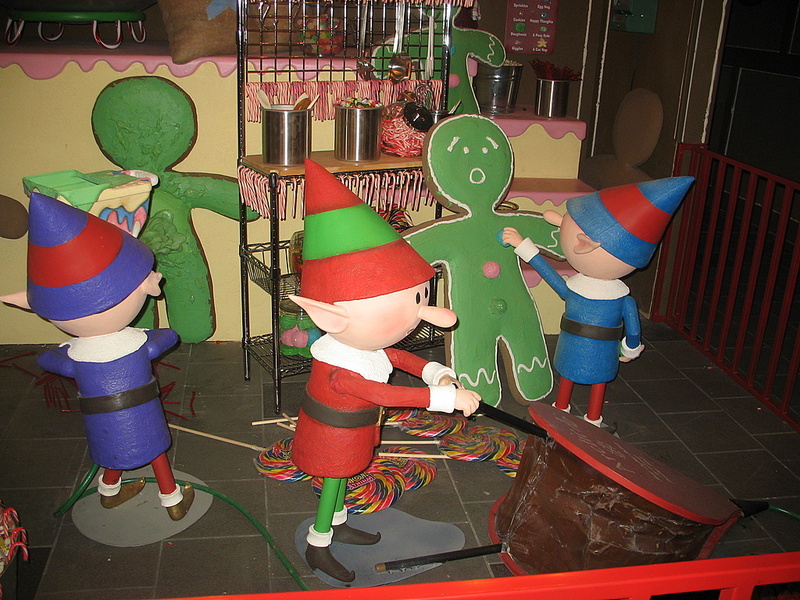 Taken this past Christmas at the Mall Of America in the worlds largest gingerbread house. 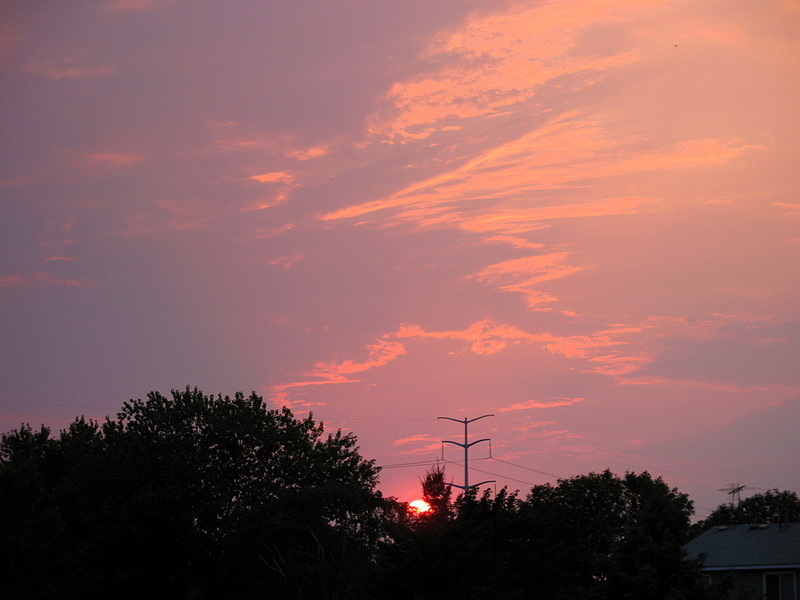 It's a strange occurrence when the sun sets into the power lines. The lights flicker, the power surges, but once it passes through the power lines, all returns to normal. 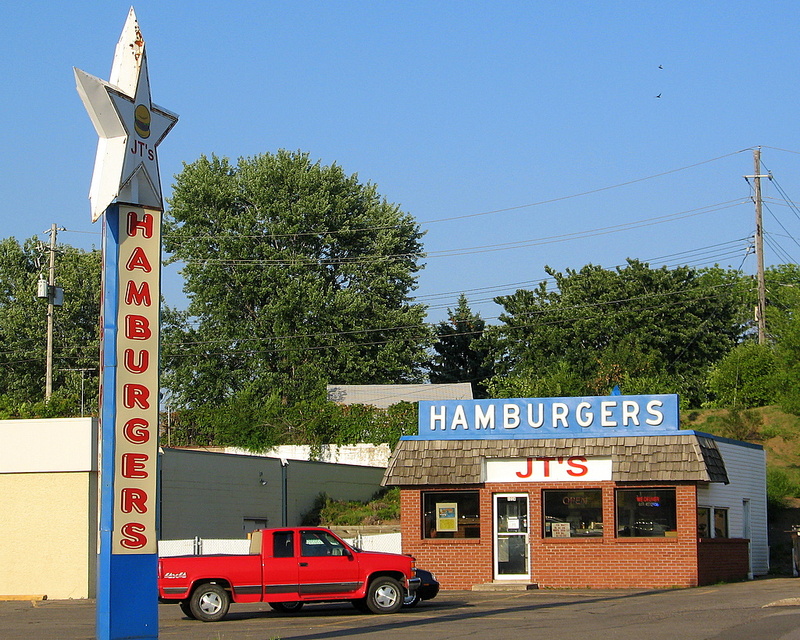 If you've ever driven on Robert Street in West St Paul, you've most likely passed JT's Hamburgers. Now if you blinked when you passed, I can understand if you missed it. The place is very small, but they have been here ever since I can remember. I grew up fairly close to this area, but drove and biked on this road often. Just the other day I took a drive down Robert Street and couldn't believe my eyes. EVERYTHING has changed, except for JT's hamburgers. Now I'm sure there are a couple of places that were still in business from ten years ago, but I cannot remember them from my childhood. 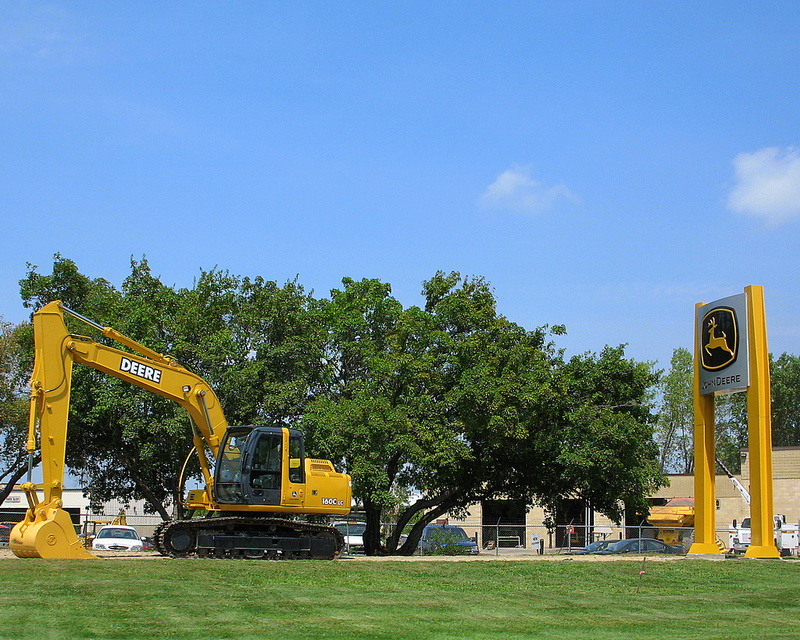 If the business is still in place from my childhood, it's been torn down and rebuilt with a brand new building. It's quite a turn over in businesses and buildings. Now this may sound odd, as long as JT's Hamburgers has been in business, I have never eaten there. Somebody is keeping this place in business and perhaps I should stop in there help the cause. I've always being amazed when there is heavy fog. It doesn't happen too often around here. I've tried in the past to take photos of it, but I've never been happy with the results as it usually doesn't capture the depth and density of the fog. This photo however I believe captures it pretty decent. Perhaps the secret to a photo of the fog is to have objects close and far disappear. That is what we all like about the fog isn't it? 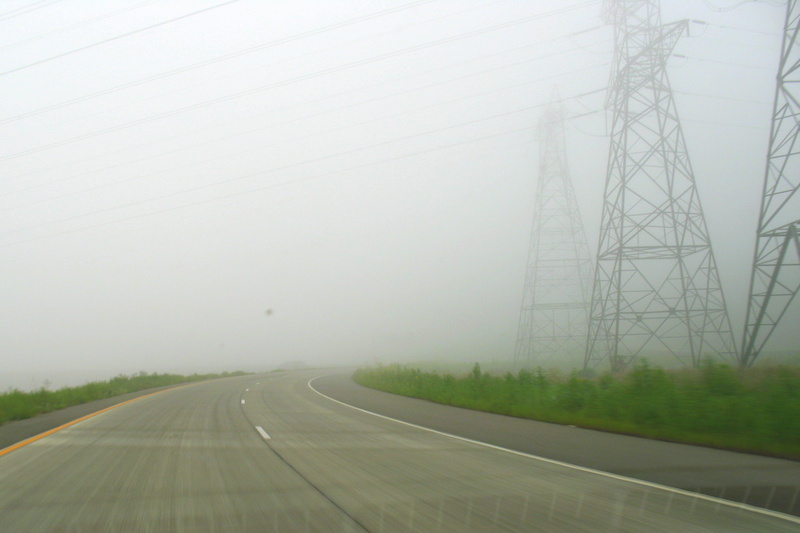 You know what's ahead, but you're not able to see it in the fog. Let me paint the picture for you: Up ahead is the entrance to connect with Highway 494 that crosses the river, it's rush hour traffic and there are hundreds of cars ahead. There are trees to the left that rise up a cliff, on the other side of 494 is another cliff with houses on top of them. 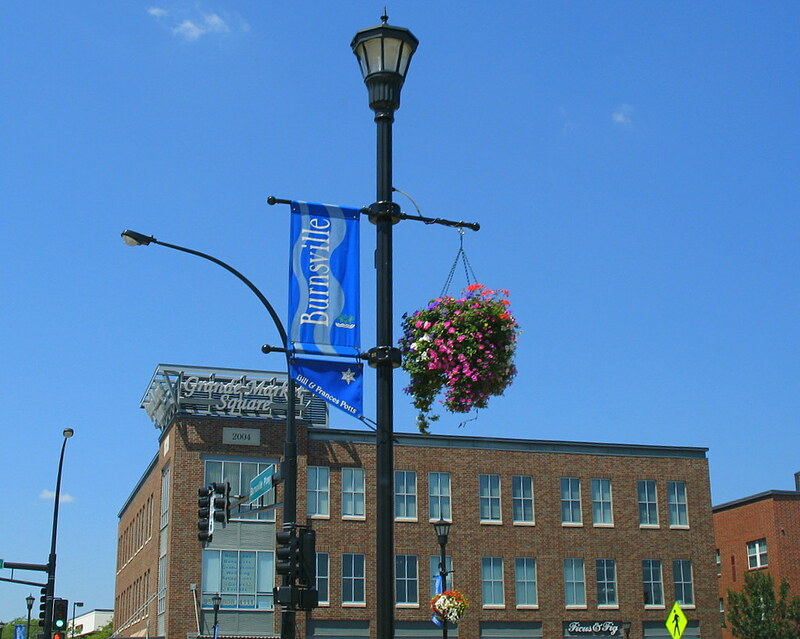 There are very tall street lights that shoot up about 75 feet and cast their light during the dark hours. There is also road constructions on the east bound lanes of 494 where they are building a new bridge. Among the construction are mounds of dirt, trucks, a crane and lots of metal rebar. To the left and continues straight north is highway 61 with more cars on their way to work. Now can you picture what is not seen? It is advised that you stay behind the yellow line. 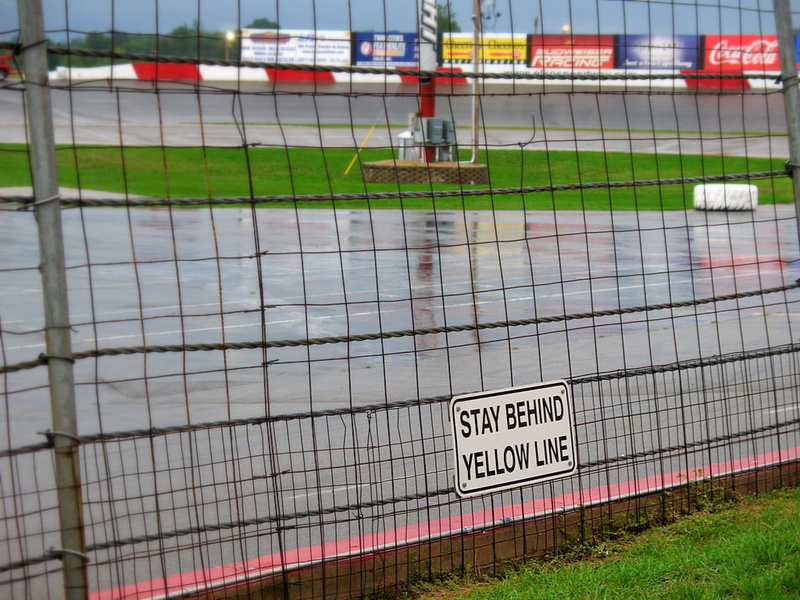 For the record, I was behind the yellow line when I snapped this photo, despite there being no cars on the track. I will be making a return visit in September, hopefully mother nature will cooperate and allow the race to go on. I've changed my mind about yesterday being my favorite shot from Elko Speedway. After looking at this capture, this is the shot of the day in my opinion. We had a first hand look at the race car we sponsor. The car is a Chevy Caprice, 355 engine. I was amazed at home much fabrication goes into preparing the car to meet the specs for the type of race it's involved in. The outer shell is original [except for a few crash repairs], but virtually everything else must be removed down to the frame. The less weight, the better. Much of the car is self created to make everything that is left in the car working with each other. There is the obvious safety equipment needed to keep the driver safe, but beyond that, there are no luxuries. This is my favorite shot of the day. The low angle, the soft focus, and I was under the safety of tarp to keep the rain off of my camera. So this past weekend I made a visit to Elko, Minnesota. 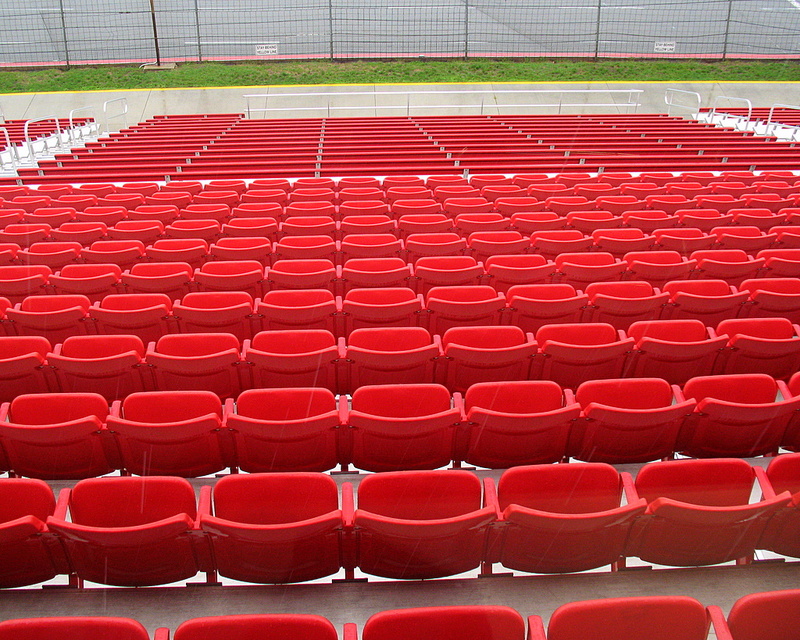 There they have the Elko Speedway racing track. 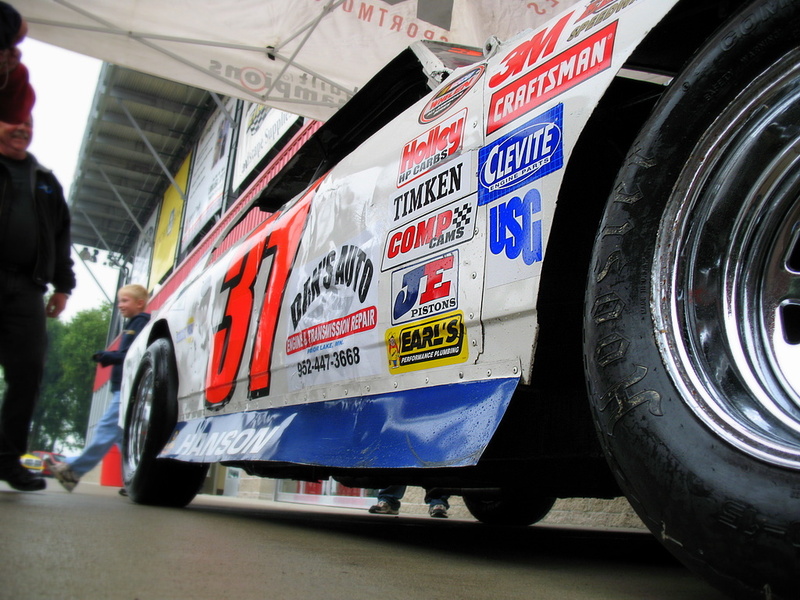 Where I work, we sponsor one of the Thunder Cars, the #31 car in particular, driven by Mike Hanson. Saturday was a gathering of the employees to watch the car in action, see it up close. The rain put a halt to that very quickly. I did manage to get a few photos of the track during a light moment of rain. 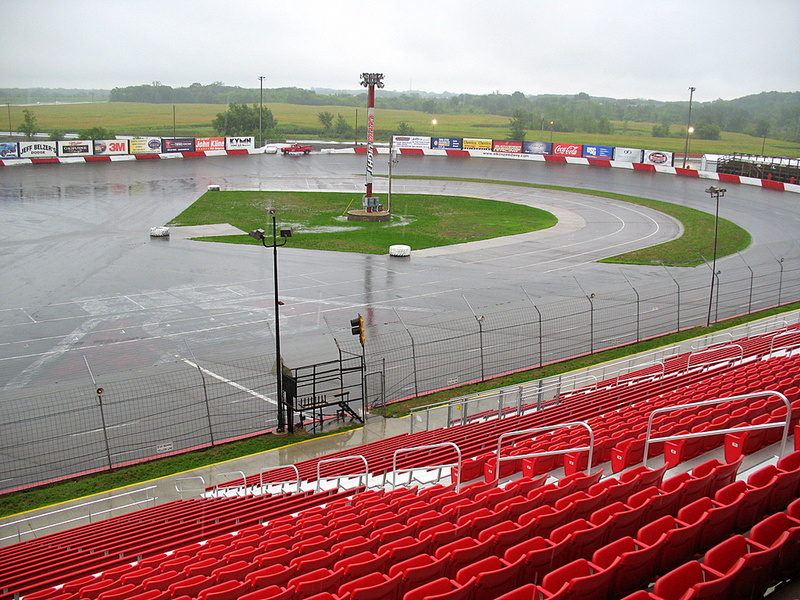 We all received rain checks for the race and will return at a later date when the weather is more cooperative. I See A Little Silhouette Of A Man, Scaramouche, Scaramouche, Will You Do The Fandango? If I were to back up just a bit and give a panoramic view of the train switching yard, you'll see a lot more of what is there to see. I'm not sure how many train tracks they have in this yard, but it's something grand to see when it is full of trains. 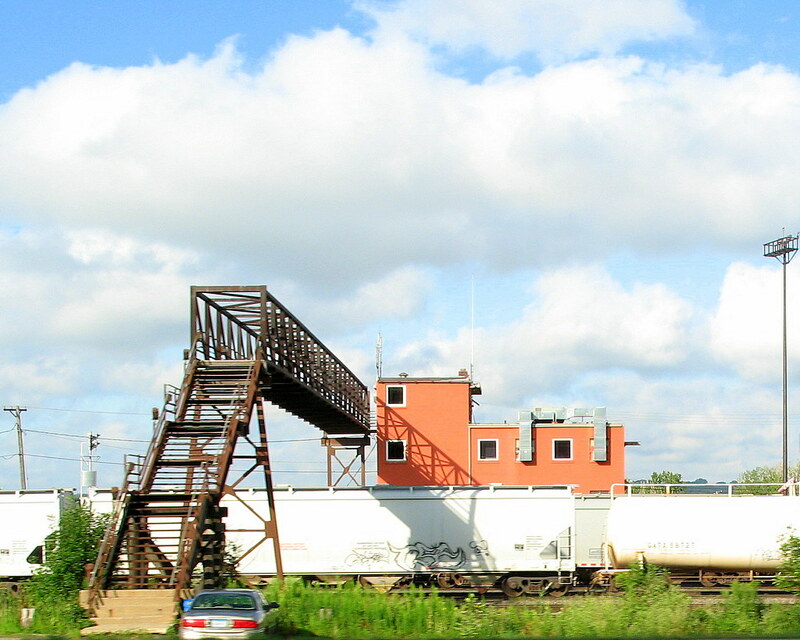 The switching yard also runs through, or around Pig's Eye Lake. Technically it is really part of the Mississippi River, but they like to name some of the bays Lakes. If you click the photo, I've enlarged the photo to 1600 x 600 in size. What you're looking at is part of the rail road switching yard in St Paul that runs along Highway 61. On the other side of the control center, out of site, is the Mississippi River. You can see the one car in the photo, this is the employee parking lot, you walk up the stairs and cross over the railroad tracks to the control room. The exact location of this place is almost as far south in St Paul one could get. 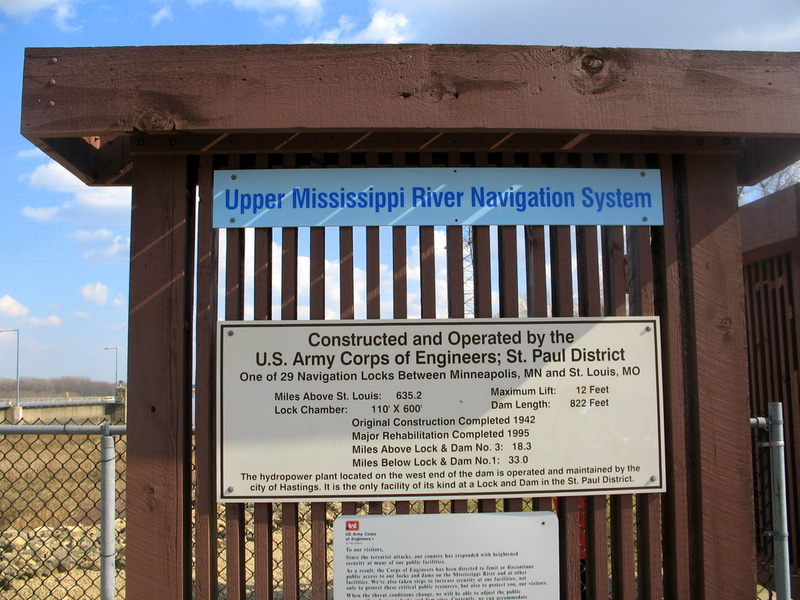 It's about half mile to a mile north of the St Paul border where Highway 494 and Highway 61 cross. Newport is directly south of this location. Most people who know this area, honestly don't realize this is part of St Paul. Scary looking eh? That is about what it looked like at the time I said to myself, 'what the heck am I doing this for?'. 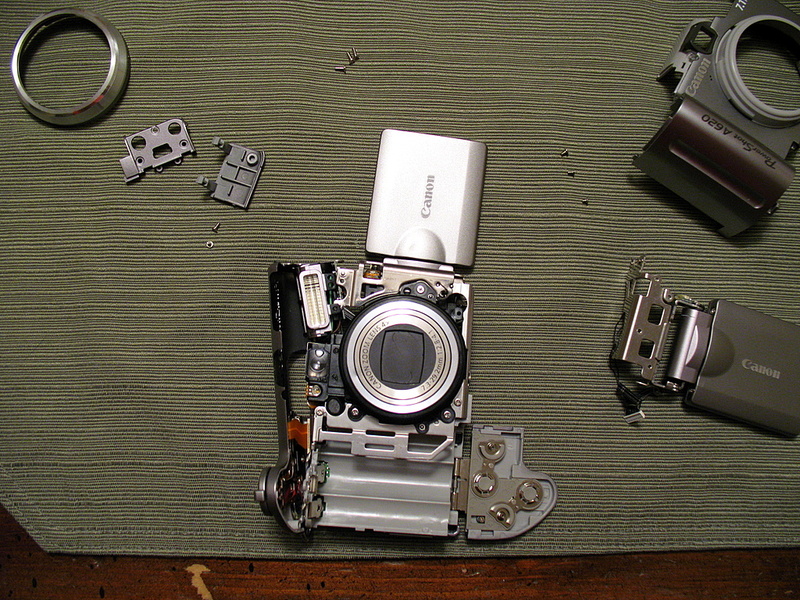 I was a bit nervous as I had the front cover, the back cover, the top cover, and a few smaller openings, all removed from my Canon A620. I was in process of a DIY, Do-It-Yourself home camera repair job. You see, back in March or so, I damaged my LCD screen [click here for a closeup photo of the damaged LCD screen]. 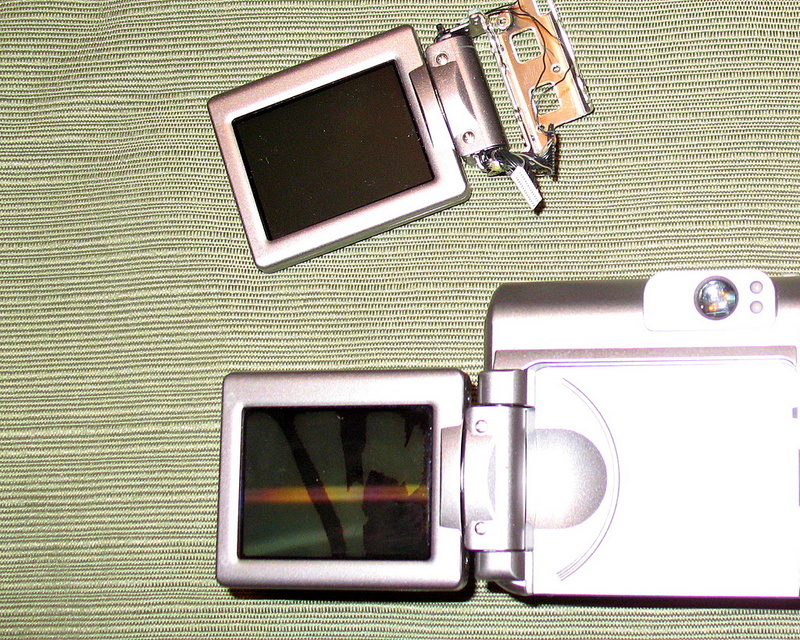 I was unable to take any photos using my LCD screen. Not that big of a deal as I was forced to use the view finder. The problem was, if I needed to make any camera settings changes, I didn't have that option as the LCD screen was dead and buried. $58 dollars, $6 dollars for shipping, an hours worth of time invested in the repair job and I have a working camera once again. Wouldn't you know it, I get the camera all put back together again and there is one leftover screw that doesn't have a home! I'm not sure if these are brand new, but they looked freshly painted and displayed in a very long row next to the street I was stopped on. 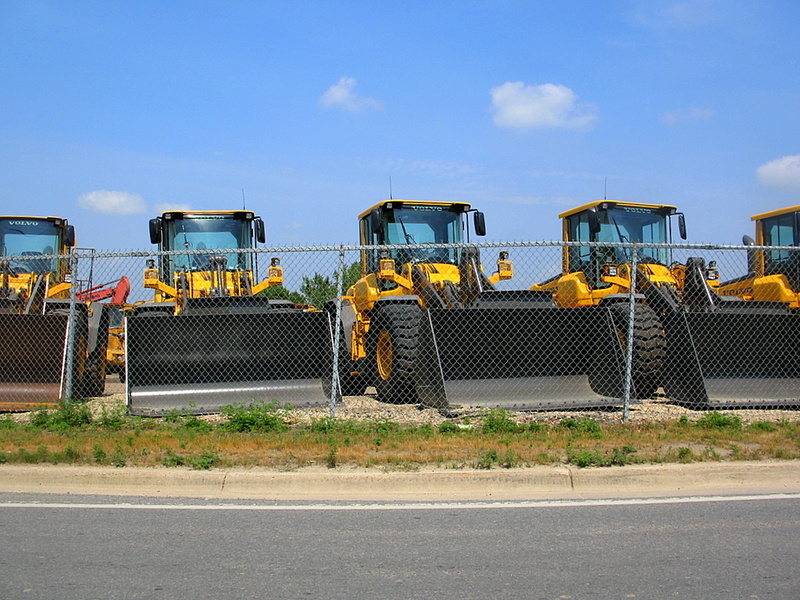 Yes, these are made by Volvo. Click the photo if you cannot see the Volvo name. It's there in the upper part of the windshield, click it, I'll wait. 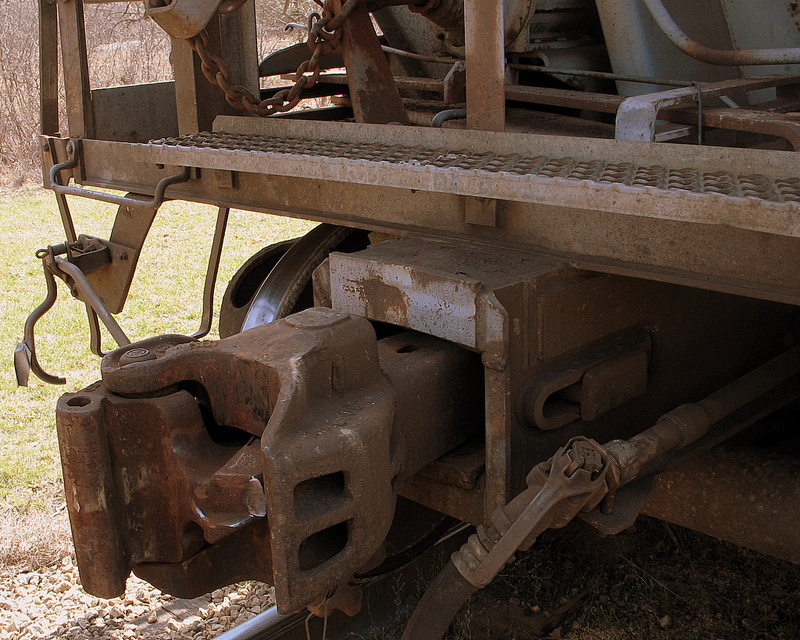 Close up of a train coupler in Hastings. Just a truck I was following while driving down highway 494 as it exited in Inver Grove Heights. It was headed to a place where a bunch of very thirsty people were eagerly awaiting the trucks arrival. 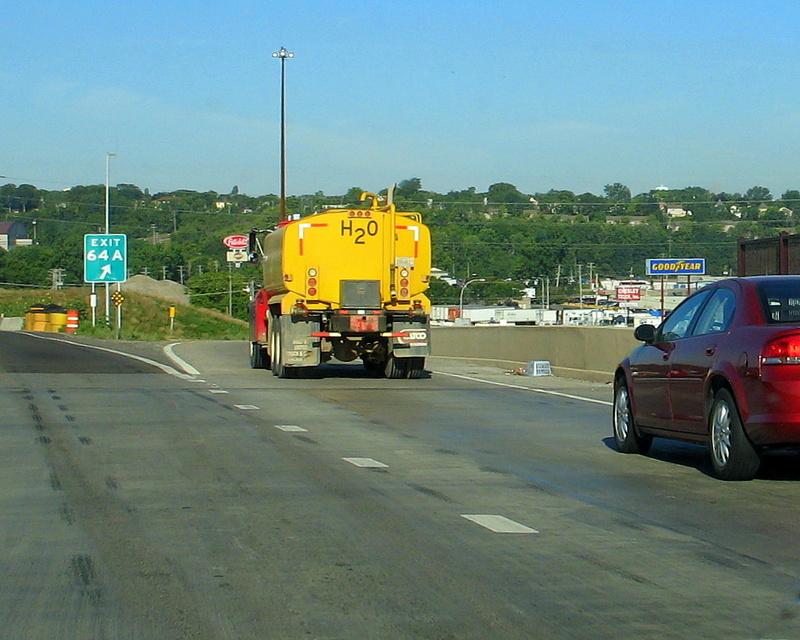 Who knew water was carried around in trucks around the Twin Cities? Perhaps it's just me, but I happen to like this photo. Outstanding looking sky, puffy clouds, green field below, one very large smoke stack. Does it get any better than this? I was right, it's just me. Took this one while traveling on Sheppard Road in St Paul. 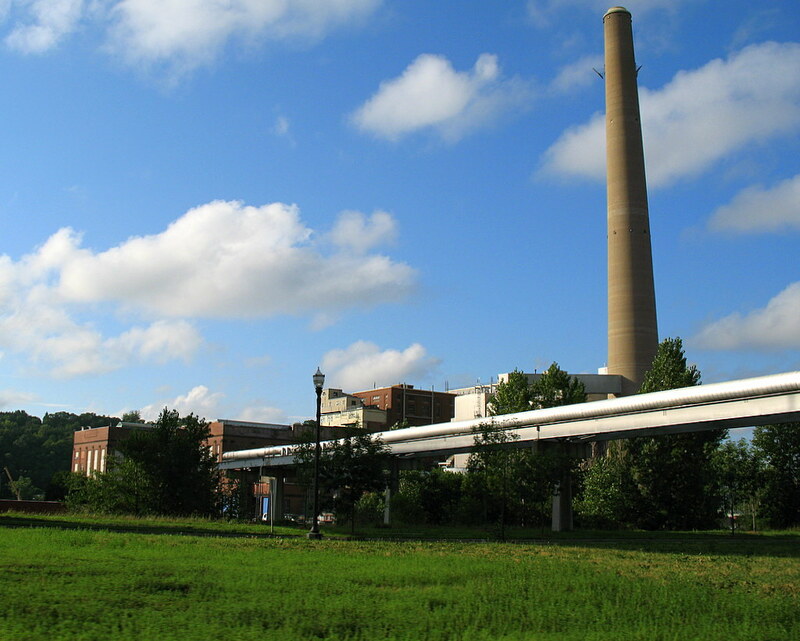 This is the Xcel Energy Plant, used to be called the NSP plant until recently. 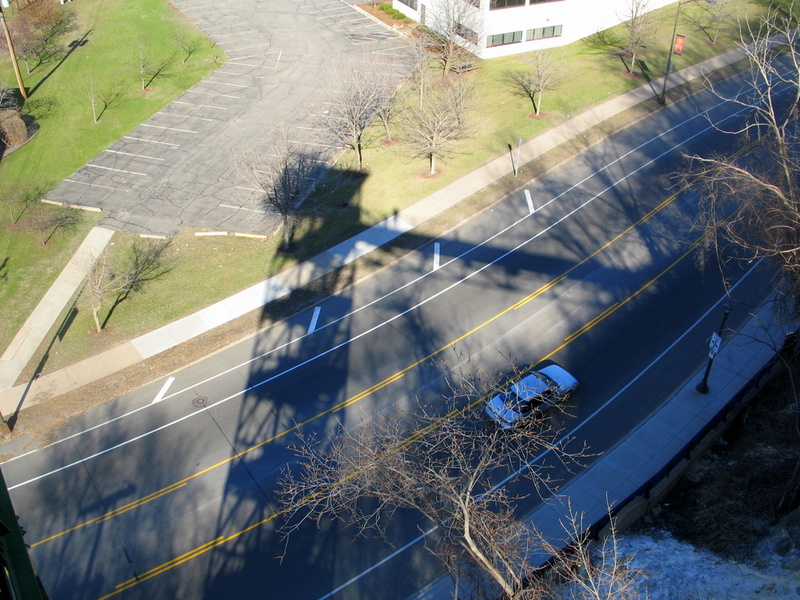 400 foot tall comes to mind on the height of the tower. I did brief google search, but couldn't find any specs related to the tower height. Can you see it? Way, way, way off in the distance....it is there....you may have to click the photo to make it larger, but it is there. See it now? Right there in the center? It's downtown Minneapolis and I'm headed north on Nicollet Avenue. Hot summer days, cool water. Why prolong getting your whole body wet? Just jump right in and get it over with. 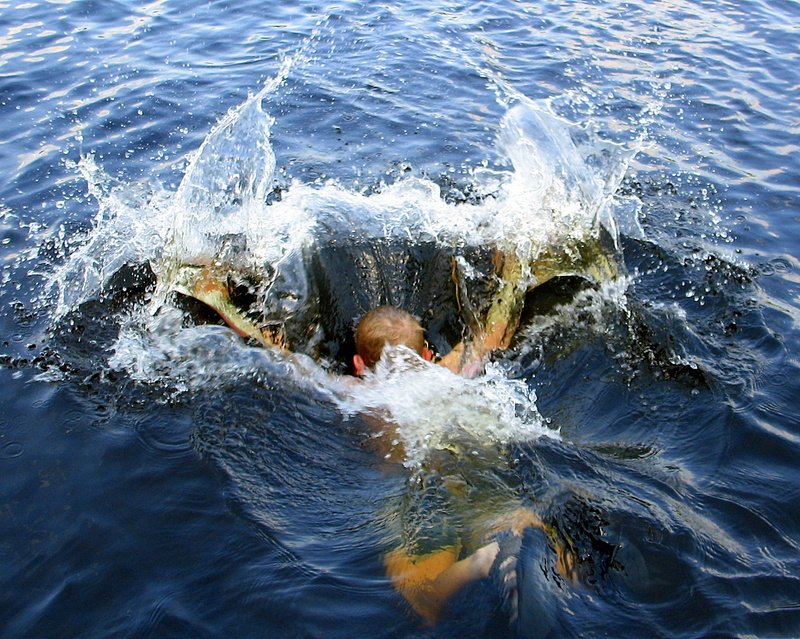 This is my son jumping into a Minnesota lake, we have 14,000+ lakes in our state. Heck, there is a group of Minnesotans who take a jump in the lake on New Years Day to start the new year off right....if you know our winters, we have snow, ice, and bitter cold. It is on my list of things to do once in my lifetime. Can you guess what is not quite right in the photo? Have the song stuck in your head now? I'm not sure about this photo. I liked it when I took the shot, but as I'm about to post it, I see very little this evening. Granted, there is lots to see, but I can't honestly remember what I was taking a photo of at the time. I was trying to get a lot into the shot, perhaps that's what I got. 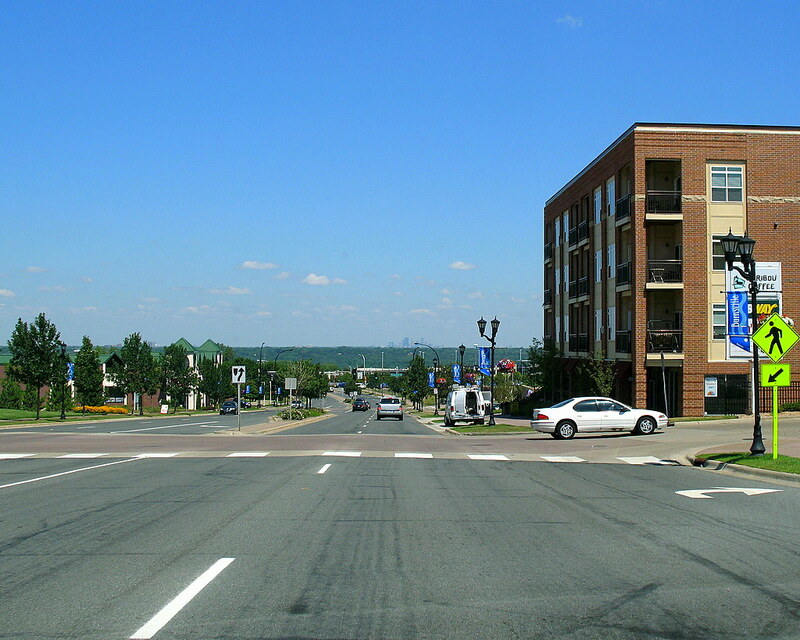 It's the corner of Burnsville Parkway and Nicollet Avenue facing west. In Burnsville, which is south of Minneapolis, I've pass these fire hydrants a couple times in the past, didn't think much of it. The other day, I noticed there were about twenty fire hydrants around the parking lot at various locations. I thought they had a lot of them because across the street is a high school. Everyone of them was painted like they are in the photo. Then I saw it, the sign that read the parking lot belong to veterinarian clinic. Ahhh, that made sense, they were put there for decoration. 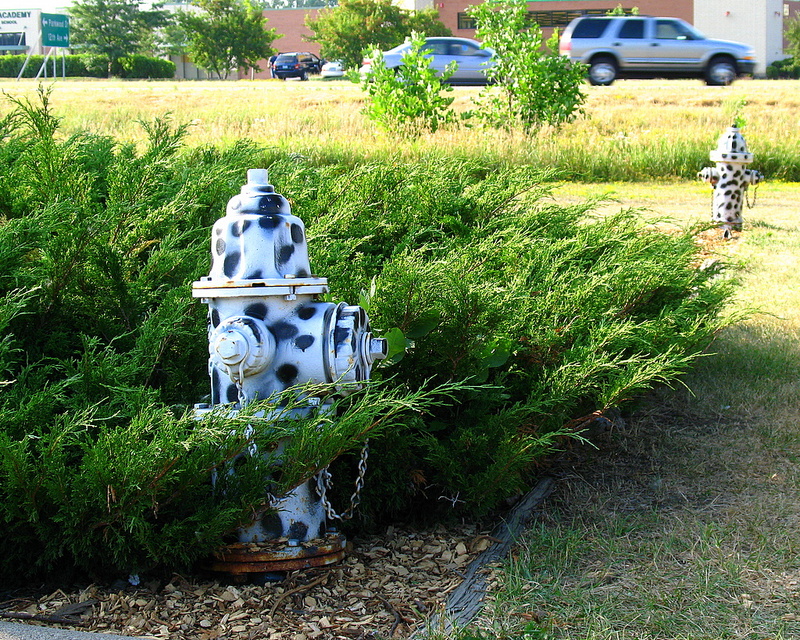 How silly of me to not realize where I was when I saw twenty fire hydrants painted like a dalmatian. From yesterday's comments, Keropok Man said it would be a nice place to sit and do nothing. How true it is, there are a few benches to sit and enjoy the view. You can see one across the water, there is also a bench behind me where I took this photo from. The city turned this area into a nice place to sit and think. 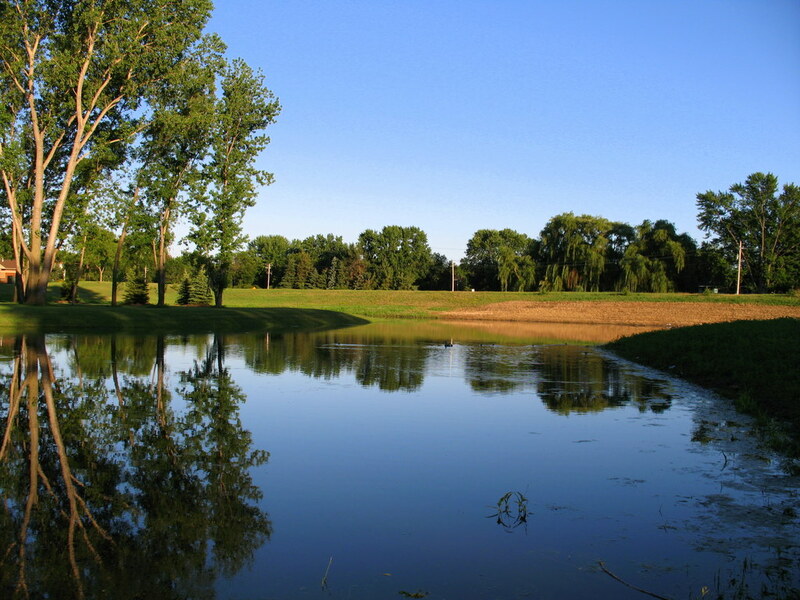 This area, as nice as it looks, is really just a holding pond for when it rains heavy in Cottage Grove. 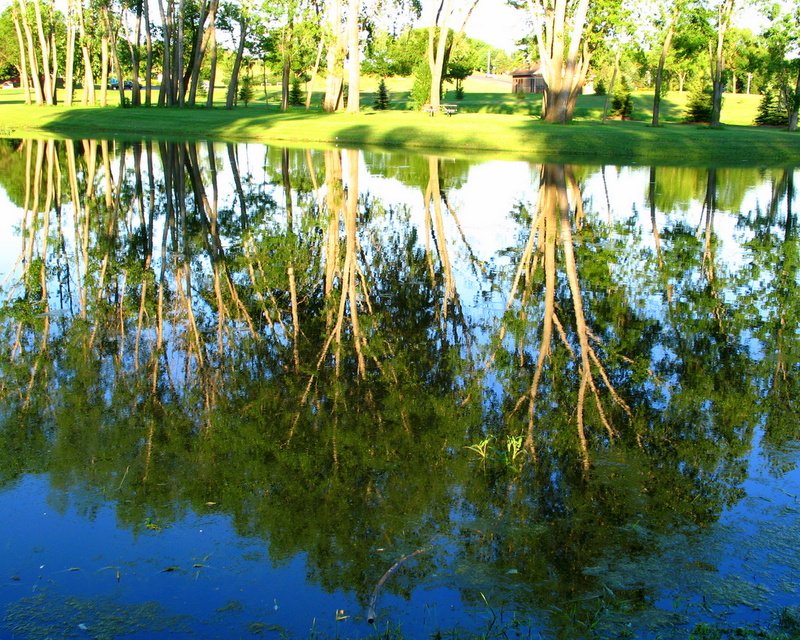 It does make for a great reflective image for the camera. If you look closely, in the distance, there are telephone poles that travel along the road. Trust me, it is there. I wont be posting a photo today, with Wednesday's event, I'm saddened by it all. I have a link if you should feel compelled to donate to the Twin Cities Red Cross. 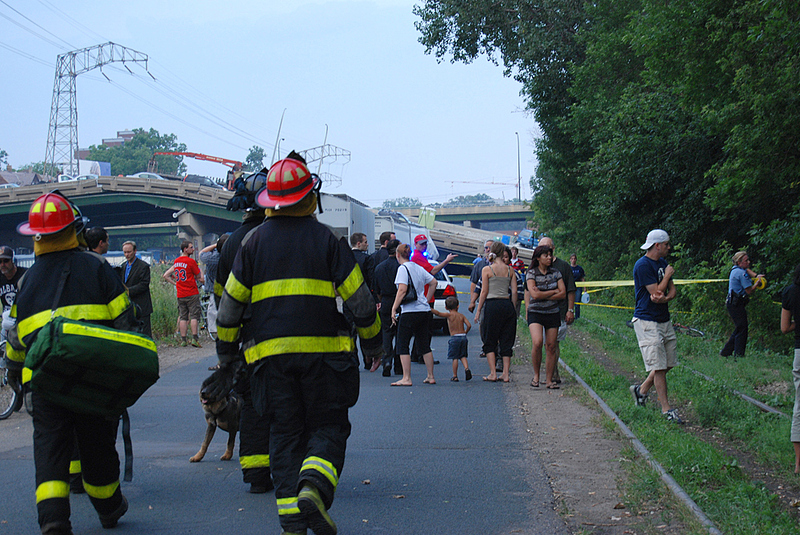 I appreciate everyone who left a comment about the 35W bridge collapse for the concern and for those involved. It's been a somber mood with everyone I've spoken with today. Disbelief, sorrow is going through out the community and beyond. Personally, I cannot believe this is real. I've never had something like this happen to be so close to home in my lifetime. It's uplifting to read all of the comments you've left here and the other local bloggers sites. Chris from Minneapolis Daily Photo posted a touching tribute to the four known victims at this time. Peace. I know many of you have been seeing this tragedy on the news tonight. 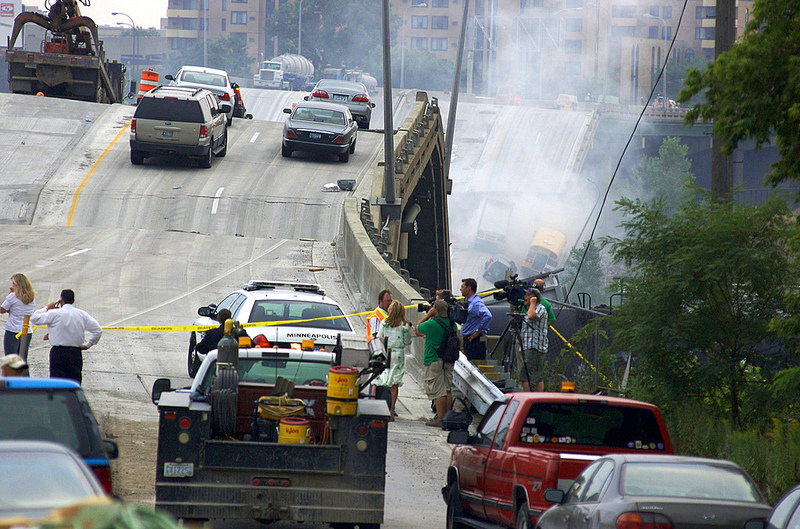 My heart goes out to those caught in the bridge collapse and their families. My fellow local bloggers are all safe, their families. I have a few photos of the aftermath from a few local photographers that were close to the bridge and have given me permission to post their photos. Thank you again. 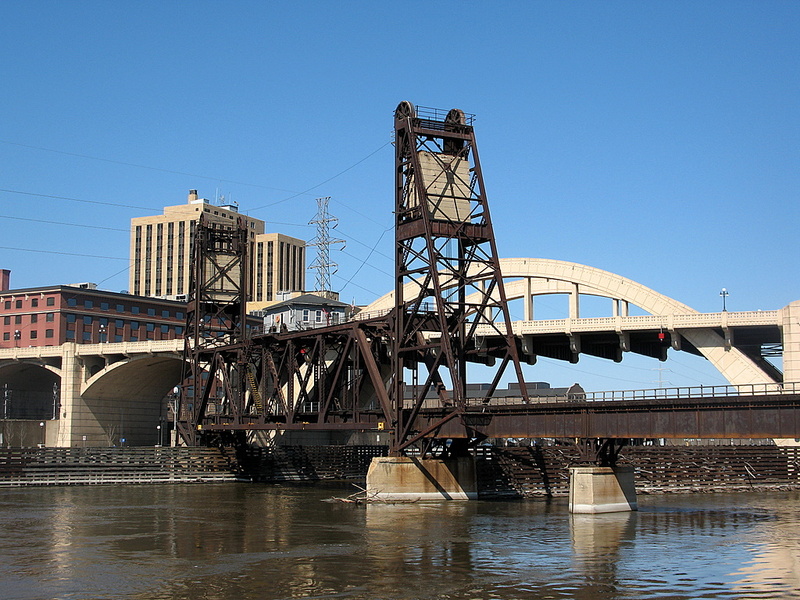 This Interstate 35W bridge crosses the Mississippi River to the north of downtown Minneapolis. This is a major road for travel into and out of downtown and will greatly effect the city and surroundings for many years to come. My heart goes out to the commuters and their families. Very detailed photos by Noah Kunin who lives closest to the bridge. Theme day around the world, this month is a typical breakfast. So why the cat in the photo you're asking? My cat often participates in my weekend breakfasts with my family. His passion is drinking coffee, I kid you not. My cat is a coffee drinker. 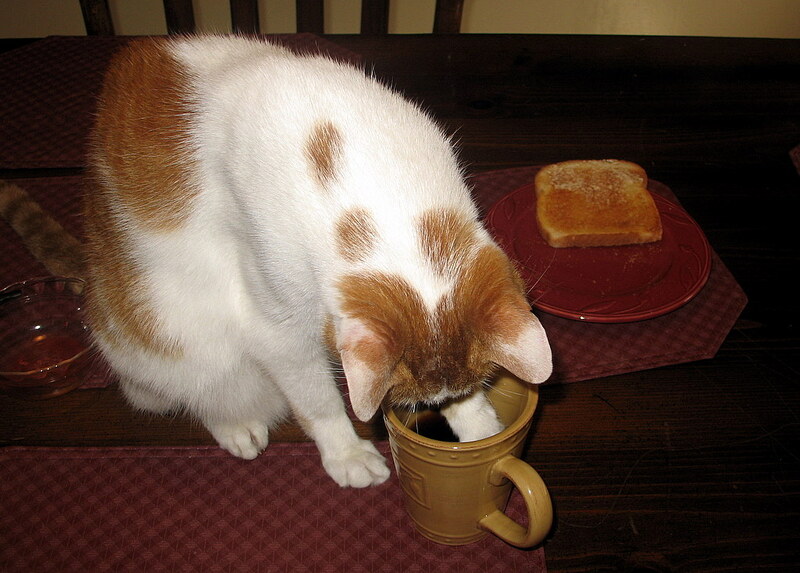 Dips his paw in the coffee, then licks what has collected on his paw. He likes his coffee black and will not drink coffee with cream or sugar in it. This is often my typical breakfast ritual. My wife is a bit grossed out by it with all of the germs that can be transfered from the paws. My wife like cream in her coffee, so she is spared the paw in her cup.